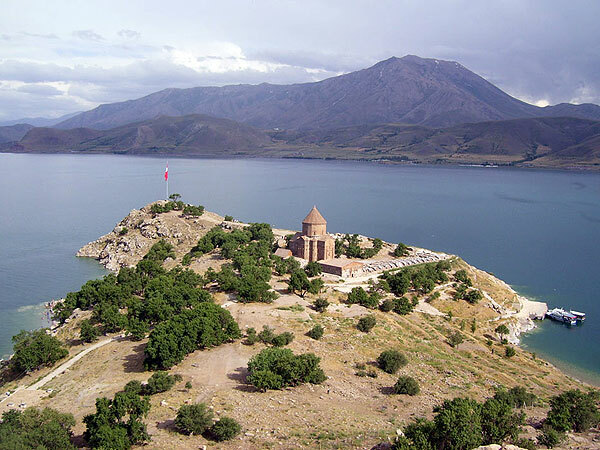 The Lake Van, Vaspurakan region, the city of Van as well as the island Akhtamar are very important in the history of the Armenian people. 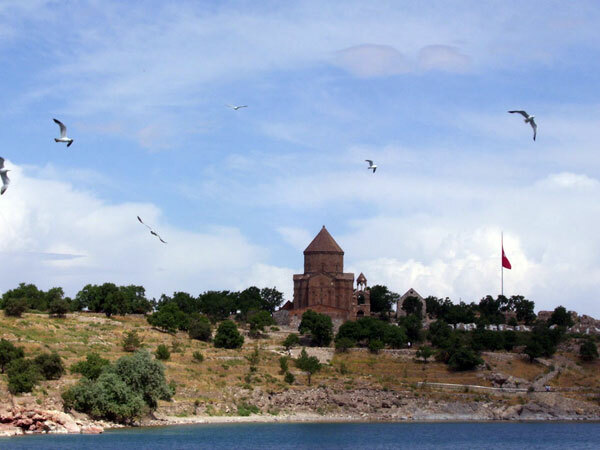 Akhtamar Island was highly developed in 10th century thanks to Gagik Artsruni. 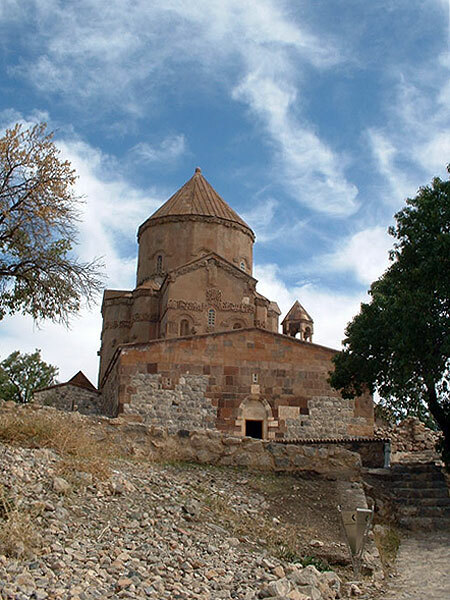 The most wonderful architectural sites of the island were the castle of Gagik Artsruni and St. Cross church. 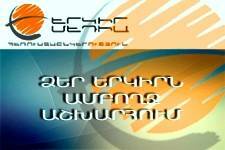 Only St. Cross (Surb Khach) church survived to our days, which is one of the most important monuments for Armenian people's history and culture. 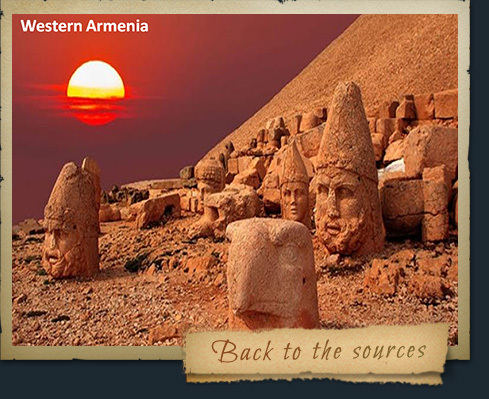 During his reign, King Gagik I Artsruni (908-943/944) of the Armenian kingdom of Vaspurakan chose Akhtamar as one of his residences.The Artsruni dynasty founded their capital city in the island of Akhtamar. Between 1116 and 1895 Akhtamar Island was the location of the Armenian Catholicosate of Akhtamar. Khachatur III, who died in 1895, was the last Catholicos of Akhtamar. 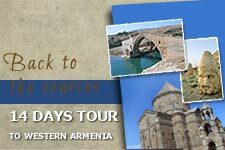 In 1915, during the Armenian Genocide, the monks of Akhtamar were massacred, the cathedral looted, and the monastic buildings destroyed. 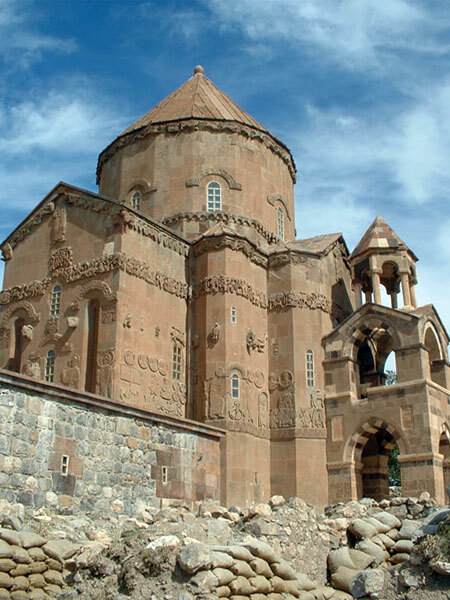 Surb Khach church is one of the masterpieces of Armenian architecture. 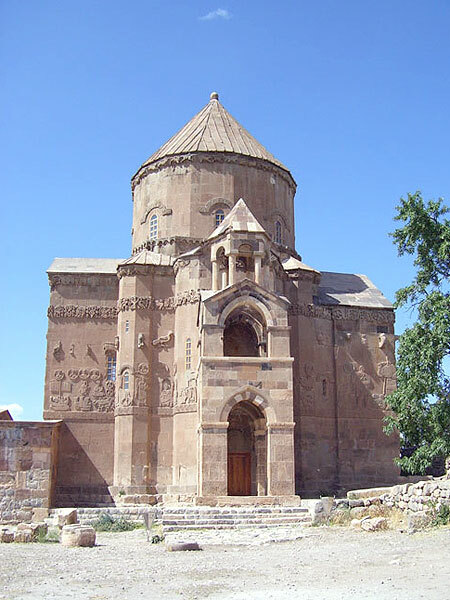 It was built by talanted Armenian architect Manvel, during 915-921. Earlier there were also cathedrals, special buildings designed for piligrimage pocated there. The length of the church is 17m, width - 14m and the height icluding the dome - 24 meters. The exterior walls of the church are covered with illustrations of the Armenian people's fight against the Arabic rule, Christianity, the famous dynasty of Artsrunyats. The lower zone of the church is a thin line of decoration with grape leaves. The second line represents old and new Testaments, including David and Goghiat, Adam and Eve. Surb Khach church is rich with animal sculptures, which symbolize hunting. There are full sculptures of 4 ancestor heroes of Artsruni dynasty, with their coats of arms and symbols. This is how looks like the Surb Khach church of Akhtamar, one of the most beautiful Armenian medieval architercural jewels looks like.